If you share a passion for criminal justice and computer science, then you could be the perfect fit for working as a computer forensics analyst. Computer forensics analysts are skilled investigators who use various specialized techniques to gather information about computer crimes. They’re our nation’s first line of defense against viruses, hacking, phishing, data breaches, Internet scams, and other cyber attacks. In our digital world, computer forensics analysts are in high demand for keeping people and their information safe online. According to the Infosec Institute, the job outlook for computer forensics analysts is rated “A” for fast growth. Below we’ve created a brief job description to help you consider a career in computer forensics. Computer forensics analysts recover and examine data from computer systems, smart phones, and electronic storage devices. Analysts may dismantle and rebuild the system to recover encrypted or erased data. Information uncovered is then thoroughly analyzed and recorded for use in criminal prosecutions. Specialized imaging software could be used to copy disks. Computer forensics analysts are responsible for writing technical reports explaining how evidence was obtained and retrieved. Giving testimony in court is very common. Many computer forensics analysts also train law enforcement officers on the proper ways to take custody of computer equipment and preserve evidence. Analysts ensure compliance with federal and state reporting requirements to maintain confidentiality. Our 21st century world is virtually run by computers. Therefore, computer forensics analysts can select from a wide variety of workplace settings. The highest percentage of analysts lead computer forensics investigations for law enforcement agencies. Local, state, and federal agencies like the FBI and NSA hire computer forensics analysts. Those not desiring a government job could work in the private sector. Corporations often employ computer forensics analysts to protect their business data from being hacked. Healthcare organizations and insurance carriers hire analysts for examining breaches in their electronic records. 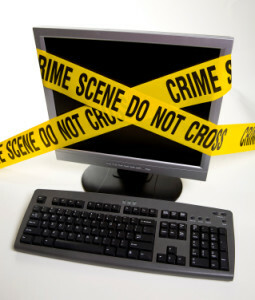 Computer forensics analysts could also work for law firms to recover evidence for civil or criminal litigation. Working in computer forensics requires an intensive technical background. Most analysts have obtained at least a four-year bachelor’s degree in computer science, cyber security, criminal justice, or law. Some universities offer digital forensics as a minor. Learning to conduct forensic computer investigations via internships or entry-level employment is essential. Newly hired analysts usually must pass forensic training programs in law enforcement. You may want to consider receiving a master’s degree in computer forensics. Analysts can also set themselves apart by pursuing professional certification. You could become a Certified Forensic Computer Examiner (CFCE) through the International Association of Computer Investigative Specialists (IACIS). You’ll have to pass a knowledge-based objective test and four hard drive practical problems under peer review. From laptops and thumb drives to smart phones and digital cameras, computer forensics analysts look for clues to aid in resolving criminal investigations. Analysts use their strong problem-solving skills and attention to detail to find traces of evidence in cyber crimes. Computer forensics and security jobs pay off with a mean yearly salary of $91,600 according to the Bureau of Labor Statistics. Being a computer forensics analyst will also provide the intrinsic reward of leading justice at the cutting-edge of today’s law enforcement realm.